Our experienced company provides professional cleaning services, among which is the oven cleaning. 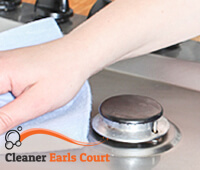 Thanks to this excellent cleaning service you will have your oven excellently cleaned according to all the standards. Our company is located in Earls Court and we work with customers 7 days per week. We are sure that we can handle all the tasks in a professional way because we collaborate with responsible staff that is well trained. In case you do not have enough time to clean your oven from the grease and stains in an effective way, feel free to book our outstanding oven cleaning right now. We will come as soon as possible to clean the oven, regardless of its type. We are sure that we can meet your expectations because our company works up to the highest standards and uses cleaning equipment that is modern and effective. For immaculate look of your oven, you can completely count on the services of our cleaners who will be at your disposal from Monday to Sunday. Our cleaners will deal with the accumulated dirt and grease and they will clean the oven by using non-abrasive products. The oven will be thoroughly cleaned from the inside and outside and you will be able to cook your favourite meals without any preoccupation. 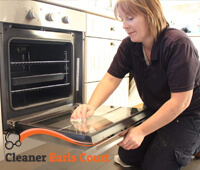 We assure you that our prices are affordable and that our offers for the oven cleaning are the best in the area. You can learn more about our oven cleaning through our customer support centres and to ask all of your questions, concerning the working schedules and the prices. Our company will offer you the best when it comes to oven cleaning, so do not have second thoughts but book our impeccable oven cleaning.